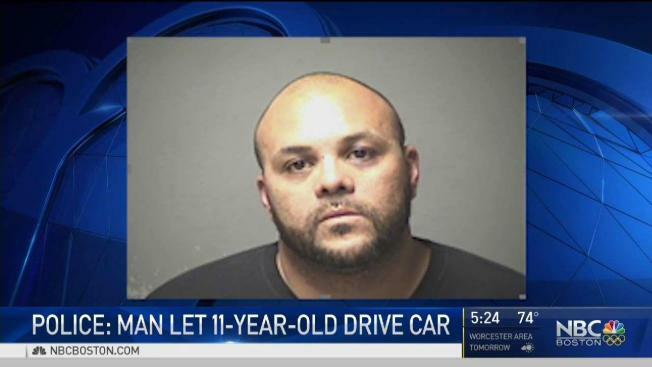 Thirty-seven-year-old Enrique Moreno of Manchester, New Hampshire, faces charges after allegedly allowing his girlfriend's 11-year-old son drive his SUV with his 3-year-old brother in the backseat. A New Hampshire man is facing charges after allegedly letting his girlfriend's 11-year-old son drive his SUV with the child's 3-year-old brother in the backseat. Enrique Moreno, 37, of Manchester was arrested Friday evening and charged with two counts each of endangering the welfare of a child and possession of a controlled drug. Manchester police said an officer noticed a 2002 Acura MDX committing several traffic violations around Putnam Street and eventually stopped the SUV near Blucher Street. Moreno allegedly exited the SUV from the vehicle's passenger side and tried to speak with the officer before he made it to the driver's side window. He was ordered back into the SUV as the officer who pulled the vehicle over walked to the driver's side, police said. When the officer made it to the driver's side of the Acura, he realized the driver was a child, so he took the keys out of the ignition and put the child in the backseat with his brother, who was buckled into his car seat, according to police. The mother of the two boys - who is dating Moreno - arrived at the scene and Moreno was then arrested. Police said they also found a small amount of marijuana, heroin and cocaine during a search of the SUV. Moreno is currently out on bail. No one answered the door at his home Monday.